Key features of all Lien Chieh Machinery (LCM) hydraulic presses are high efficiency, energy saving, long service life, and safety. Each LCM hydraulic press is tailor made to almost any tonnage for your specific application. 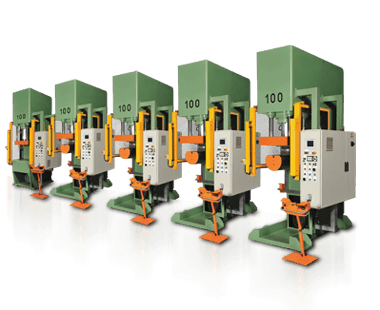 We thoroughly analyze your requirements to make a hydraulic press that perfectly matches your needs. All components on our hydraulic presses are proven, trouble free, long lasting, and manufactured by respected and reliable component companies. Every system in each press is engineered and constructed using proven methods based on previous successes. We believe that each job deserves a quality press made exactly for your application at an affordable price. We strive to exceed your expectations, and show you how we can build you the perfect press!